A Vino Nobile di Montepulciano made from the Sangiovese grape. I have been sitting on this one for a while waiting for the right time and the right meal. Tonight my stars aligned. 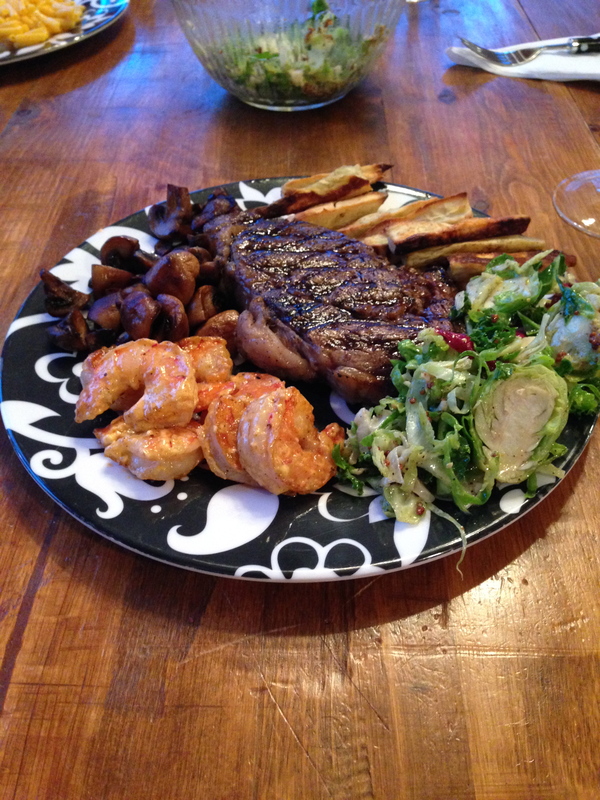 Moxie went nuts and cooked the mother of all Paleo meals- a Ribeye, Bang Bang Shrimp, sauteed mushrooms, roasted Yam fries and a Kale/Brussell sprout salad with homemade French country dressing. The wine was superb. 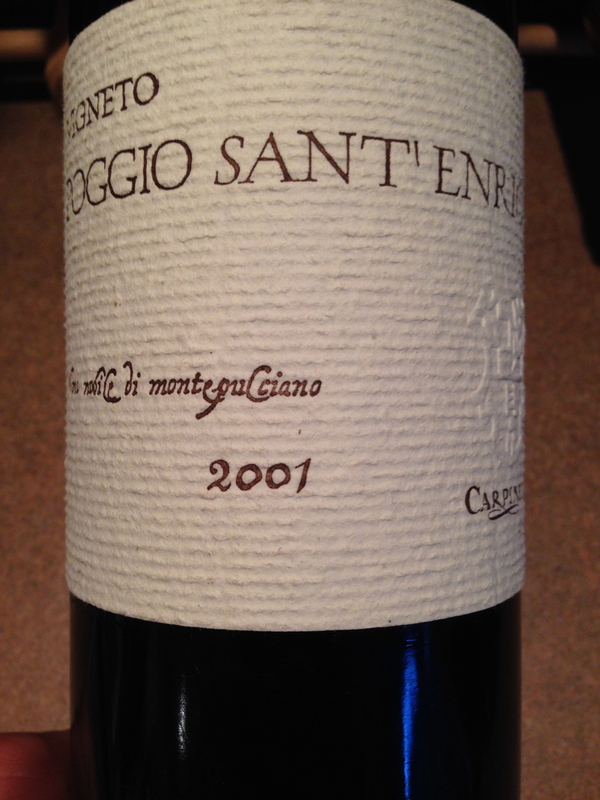 I just love Sangiovese and this one was so typical of the grape. Cherries and a delicious use of oak. This wine is 12 years old and is just now coming to life. A great tannic profile with racy acidity have given this wine an iron-clad structure. It still shows purple/red in the glass with no bricking. It’s nose is dark cherry and strawberry. Secondary flavors of earth, capsicum and leather really excite me. I am getting a long finish and the tannins are mouth puckering, yet smooth. Alcohol on this wine is 13.5% which is about where my threshold lies. This wine started out at over $60, can be found today for about $42 and will not let you down with a big steak, pasta or rack of Lamb. A serious wine that gave me much enjoyment, 92 points and a 4 banger. Salut….